Yeah, the second trailer for the Chappaquiddick movie uses that old Donovan lyric (way down below the ocean, where I want to be, she may be), and that might seem heavy-handed except it perfectly suits the subject. The film, released last week, has been rated PG-13 for, among other reasons, depictions of "historical smoking." Okay, we don't want young children to see how it was once common for Americans to smoke. A few other themes in the movie that may also be inappropriate for younger audiences include drunk driving, negligent homicide, manslaughter, abuse of power, aiding and abetting, public corruption, cowardice, misogyny, classism, and the kind of self-absorbed survivalism that enabled Senator Ted Kennedy to escape from a sinking car without a moment’s hesitation. Of course, Teddy had a lot more experience with drunk driving than the 28-year old passenger he left behind, Mary Jo Kopechne, and maybe that accounts for his greater presence of mind when the car spun around and water rushed inside. It's not an Untold True Story, as I've recently seen it referred to, because the story has been told before, especially in the 1988 book Senatorial Privilege (see the NYT book review here}. The Successfully Suppressed and Largely Forgotten True Story would be more like it. I'm acquainted with a few 40-ish people who have worked in Washington for the Feds all their adult lives but never knew anything about the Chappaquiddick incident until now. The 50-ish and 60-ish people knew, however. There was a remarkable fictional treatment by Joyce Carol Oates in 1992, Black Water, which is told entirely in the mind of the victim as she dies, and whose two-hour reading time corresponds with the time it likely took for Kopechne to die. 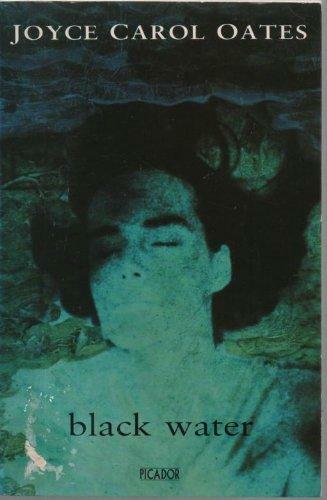 Read the NYT review of that book here: "Her Thoughts While Drowning." Everything we learn comes to us in the moments just after the accident, Kelly's last moments alive, as she discovers that she's pinned in the car, as she refuses to believe that the Senator will not come back for her -- that he has in fact used her body for support to get out of the sinking vehicle -- and as she struggles to keep her head in the air bubble that was created as the car sank. Because we know the history, we know the outcome, and, in any case, Ms. Oates keeps it well focused. As the book draws to its conclusion, the refrain "As the black water filled her lungs, and she died" is repeated with very much the same frequency, and engenders much the same feeling of cathartic recognition, that one experiences hearing the choruses of the ancient Greek tragedies. But, of course, he had. The Chappaquiddick film is the only account of the incident since Oates' novel that pays attention to the victim who was sacrificed to Ted Kennedy's political career. In interviews, the film makers have said they wanted to depict Mary Jo Kopechne as a real, rounded, person, and not just as that school graduation photo that is all the public has ever seen of her. That yearbook photo. Doesn't any other photo of her exist? Did no one take a photo of her between that class graduation and her 28th year? Evidently not, at least so far as we know. 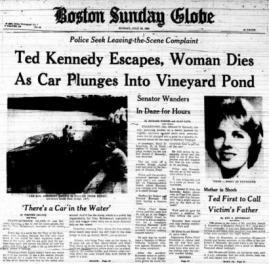 That photo was a ghostly presence that hung over Ted Kennedy's career for forty years after Kopechne's death. Only now, a decade after his own death, is she coming into definition.